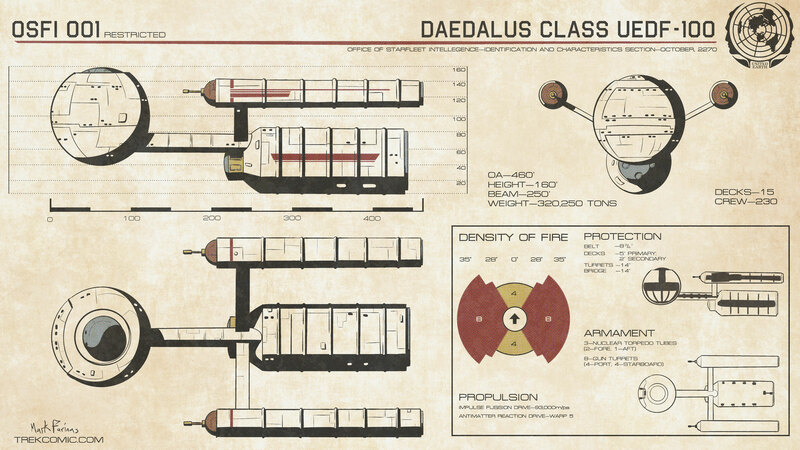 Unlike the Starship Class, the Daedalus Class was primarily built for war and was repurposed for exploration after the Romulan conflict ended. Armed with atomic torpedoes and eight 5″ gun turrets (yes you can fire bullets in space) a Daedalus class vessel would have been a formidable opponent in it’s day. Greg Jein ought to see this.